Attachment Theory is a psychological model named by John Bowlby (1988, 2008) where he describes a specific facet of the dynamics of long-term interpersonal relationships. He believed that a baby has an innate need to seek and maintain attachment with a primary carer (Waters, Corcoran & Anafarta, 2005) and that "the infant and young child should experience a warm, intimate, and continuous relationship with his mother in which both find satisfaction and enjoyment" otherwise the baby will have significant and irreversible mental health consequences (Holmes,1993). Attachment is 'a biological instinct to seek proximity to an attachment figure when the child senses threat or discomfort (Holmes,1993). The child expect that the attachment figure will remove threat or discomfort’ (Holmes,1993). The development of the attachment is due to the child's need for safety, security and protection, vital in infancy and childhood (Holmes,1993). "Alarm" is the term used for activation of the attachment behavioral system caused by fear of danger (Holmes,1993). "Anxiety" is the anticipation or fear of being cut off from the parents (Holmes,1993). If the caregiver is unavailable or unresponsive, separation distress occurs (Holmes,1993). Until the age three or four, physical separation can cause anxiety and anger, followed by sadness and despair (Holmes,1993). Secure attachment is when children feel secure in the presence of their primary caregivers (Holmes,1993). When the parent leaves the child alone, the infant feels separation anxiety (Holmes,1993). Separation anxiety is what children feel when they are separated from their primary caregivers (Holmes,1993). Anxious-ambivalent attachment occurs when the child feels separation anxiety when separated from his primary caregiver and does not feel reassured when the caregiver returns to the child (Holmes,1993). Anxious-avoidant attachment occurs when the infant avoids their parents (Holmes,1993). Disorganized attachment occurs when there is a lack of attachment behavior between the child and the parents (Holmes,1993). Bowlby was influenced by many clinicians during the development of his theory, but specially by the psychoanalysts. Freud (1856–1939): Wrote about the pleasure principle explaining that from early stages of life we need to seek for what satisfies our basic needs. Melanie Klein (1882-1960): influenced by Freud's ideas of the unconscious created the Object Relations Theory, utilizing psychoanalytical techniques with young children (Horacio, 2005). She was one of the people who particularly influenced Bowlby's work (Bowlby, 1944). Ana Freud (1895-1982): Founder of child psychoanalysis. Her research about young children separated from familiar caregivers during World War strongly influenced Bowlby (Freud & Burlingham, 1943). Sullivan (1953): Attempted to explain how mental disorders are caused by distorted interpersonal relationships (Grawe, 2007). Bowlby (1988, 2008): Developed the Attachment Theory (Holmes, 1993). Seymour Epstein (1990): Created the cognitive-experiential self-theory showing how attachment and control are two of the basic human needs that must be fulfilled to facilitate change (Grawe, 2007). Klaus Grawe (2004, 2007): The creator of the Neuropsychotherapy, he demonstrated how these needs play a vital role in the therapeutic relationship placing attachment as a vital a vital part of our neurobiological needs (Grawe, 2007). Secure Attachment: Parents who consistently (or almost always) respond to their child's needs will create securely attached children (Schacter et al, 2009). The child “will explore freely while the caregiver is present, typically engages with strangers, is often visibly upset when the caregiver departs, and is generally happy to see the caregiver return” (Schacter et al, 2009). “Securely attached children are best able to explore when they have the knowledge of a secure base to return to in times of need. When assistance is given, the sense of security increase and also, assuming the parent's assistance is helpful, educates the child in how to cope with the same problem in the future. Therefore, a child becomes securely attached when the parent is available and able to meet the needs of the child in a responsive and appropriate manner. Those children will be more prone to secure attachment” (Aronoff, 2012). Securely attached adults tend to have positive views of themselves, their partners and their relationships(Hazan & Shaver, 1987). They feel comfortable with intimacy and independence, balancing the two (Hazan & Shaver, 1987). Anxious-resistent insecure attachment (or ambivalent attachment): A child with this attachment style will explore little (in the Strange Situation) and is often wary of strangers, even when the parent is present (Ainsworth, Blehar, Waters & Wall, 1978). When the mother departs, the child is often highly distressed (Ainsworth, Blehar, Waters & Wall, 1978). The child is ambivalent when she returns (Ainsworth, Blehar, Waters & Wall, 1978). Due to the care-giver’s unpredictably response to the baby, the baby's reaction will be anger or helplessness towards the caregiver (Ainsworth, Blehar, Waters & Wall, 1978). “The mixture of seeking and yet resisting contact and interaction has an unmistakeably angry quality and indeed an angry tone may characterize behavior in the pre separation episodes... These babies are passivity and their exploratory behavior is limited. Their interactive behaviors are relatively lacking in active initiation. Nevertheless, in the reunion episodes they obviously want proximity to and contact with their mothers, even though they tend to use signalling rather than active approach, and protest against being put down rather than actively resisting release” (Ainsworth, Blehar, Waters & Wall, 1978). Anxious-preoccupied adults seek high levels of intimacy, approval and responsiveness from partners, becoming overly dependent (Hazan & Shaver, 1987). They tend to be less trusting, have less positive views about themselves and their partners, and may exhibit high levels of emotional expressiveness, worry and impulsiveness in their relationships (Hazan & Shaver, 1987). Anxious-avoidant insecure attachment: The child with this style of attachment will avoid or ignore the caregiver, showing little emotion and no distress when the caregiver departs or returns (Ainsworth & Bell, 1970). The child will not explore very much regardless of who is there (Ainsworth & Bell, 1970). Ainsworth and Bell theorized that the apparently unruffled behavior of the avoidant infants is in fact a mask for distress, a hypothesis later evidenced through studies of the heart-rate of avoidant infants (Sroufe & Waters, 1977). "...conspicuous avoidance of the mother in the reunion episodes which is likely to consist of ignoring her altogether, although there may be some pointed looking away, turning away, or moving away...If there is a greeting when the mother enters, it tends to be a mere look or a smile...Either the baby does not approach his mother upon reunion, or they approach in 'abortive' fashions with the baby going past the mother, or it tends to only occur after much coaxing...If picked up, the baby shows little or no contact-maintaining behavior; he tends not to cuddle in; he looks away and he may squirm to get down. (Ainsworth, Blehar, Waters & Wall,1978). Dismissive-avoidant adults desire a high level of independence, often appearing to avoid attachment altogether (Hazan & Shaver, 1987). They view themselves as self-sufficient, invulnerable to attachment feelings and not needing close relationships(Hazan & Shaver, 1987). They tend to suppress their feelings, dealing with rejection by distancing themselves from partners of whom they often have a poor opinion (Hazan & Shaver, 1987). Fearful-avoidant adults have mixed feelings about close relationships, both desiring and feeling uncomfortable with emotional closeness (Hazan & Shaver, 1987). They tend to mistrust their partners and view themselves as unworthy. Like dismissive-avoidant adults, fearful-avoidant adults tend to seek less intimacy, suppressing their feelings”(Hazan & Shaver, 1987). Disorganised / Disoriented Attachment: “Ainsworth and colleagues observed tense movements such as hunching the shoulders, putting the hands behind the neck and tensely cocking the head, and so on (Ainsworth, Blehar, Waters & Wall,1978). It was our clear impression that such tension movements signified stress, both because they tended to occur chiefly in the separation episodes and because they tended to be prone to crying. Indeed, our hypothesis is that they occur when a child is attempting to control crying, for they tend to vanish if and when crying breaks through(Ainsworth, Blehar, Waters & Wall,1978). Crittenden noted that one abused infant in her doctoral sample was classed as secure (B) by her undergraduate coders because her strange situation behavior was without either avoidance or ambivalence, she did show stress-related stereotypical head cocking throughout the strange situation (Ainsworth, Blehar, Waters & Wall,1978). This pervasive behaviour, however, was the only clue to the extent of her stress (Crittenden, 1983). In the Strange Situation, the attachment system is expected to be activated by the departure and return of the caregiver (Crittenden, 1983). If the behavior of the infant does not appear to the observer to be coordinated in a smooth way across episodes to achieve either proximity or some relative proximity with the caregiver, then it is considered 'disorganized' as it indicates a disruption or flooding of the attachment system (e.g. by fear) (Crittenden, 1983). Infant behaviours in the Strange Situation Protocol coded as disorganized /disoriented include overt displays of fear; contradictory behaviors or affects occurring simultaneously or sequentially; stereotypical, asymmetric, misdirected or jerky movements; or freezing and apparent dissociation (Crittenden, 1983). Lyons-Ruth has urged, however, that it should be wider 'recognised that 52% of disorganized infants continue to approach the caregiver, seek comfort, and cease their distress without clear ambivalent or avoidant behavior (Lyons-Ruth, Bureau, Easterbrooks, Obsuth, Hennighausen & Vulliez-Coady, 2013). For example, Children placed in care, especially more than once, often have intrusions. In videos of the Strange Situation Procedure, they tend to occur when a rejected/neglected child approaches the stranger in an intrusion of desire for comfort, then loses muscular control and falls to the floor, overwhelmed by the intruding fear of the unknown, potentially dangerous, strange person (Crittenden & Landini, 2011). Main and Hesse (Mary & Erik,1993) found that most of the mothers of these children had suffered major losses or other trauma shortly before or after the birth of the infant and had reacted by becoming severely depressed (Parkes, 2006). In fact, 56% of mothers who had lost a parent by death before they completed high school subsequently had children with disorganized attachments (Mary & Erik,1993). Subsequently studies, whilst emphasizing the potential importance of unresolved loss, have qualified these findings (Sheri et al. 2006). For example, Solomon and George found that unresolved loss in the mother tended to be associated with disorganized attachment in their infant primarily when they had also experienced an unresolved trauma in their life prior to the loss” (Solomon & George, 2006). Ainsworth, M. D., Blehar, M. C., Waters, E., & Wall, S. (1978). Patterns of attachment: A psychological study of the strange situation. Hillsdale, NJ: Lawrence Erlbaum Associates, Inc.
Alder, A. (1920). Praxis end Theories der Individualtherapie [Praxis and theory of individual therapy]. Munich, Germany: Bergmann. Aronoff, J. (2012). Parental Nurturance in the Standard Cross-Cultural Sample: Theory, Coding, and Scores. Cross-Cultural Research, 46(4), 315-347. Bowlby, J. (2008). Attachment: Volume One of the Attachment and Loss Trilogy: Attachment Vol 1 (Attachment & Loss) (Revised edition edition.). Vintage Digital. Bowlby J (1944). "Forty-four juvenile thieves: Their characters and home life". International Journal of Psychoanalysis 25 (19–52): 107–27. sometimes referred to by Bowlby's colleagues as "Ali Bowlby and the Forty Thieves"
Colin Murray Parkes (2006). Love and Loss. Routledge, London and New York. p. 13. Cummings, E. Mark. Attachment in the Preschool Years: Theory, Research, and Intervention. Chicago: University of Chicago Press. pp. 161–84. Epstein, S. (1990). Cognitive-experiential self-theory. In L. A. Pervin (Ed. ), Handbook of personality: Theory and research. (pp. 165-192). New York: Guilford. Freud A, Burlingham DT (1943). War and children. Medical War Books. Grawe, K. (2007). Neuropsychotherapy: How the Neurosciences Inform Effective Psychotherapy (1st ed.). Routledge. Grawe, K. (2004). Psychological therapy. Toronto: Hogrefe & Huber. Holmes J (1993). 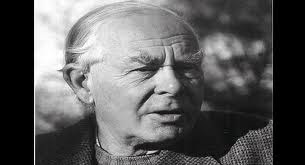 John Bowlby & Attachment Theory. Makers of modern psychotherapy. London: Routledge. Spitz RA (1951). "The psychogenic diseases in infancy". The Psychoanalytic Study of the Child 6: 255–75. HelpLand Emotional Support Centre is the owner of all property rights and published material on this website except for material written by authors who were referenced. All rights are reserved. Authors or contributors must be acknowledged in any content extracted from this website. "...but we trust in the name of the LORD our God." "When the pain of not living is greater than the fear of change, the person changes." Helping is better than criticising. Having compassion is better than rejecting. Love is better than hate. "Love is the only thing that grows as we share." O que e' Violencia Domestica? Well-being: Do hugs really make us happier? Well-being: how much water do we need? Well-being: How sugar affects our brain ? Well-Being: O que o seu sintoma quer dizer? What is Mental Illness / Mental Health Issues ? Who was Jacques Lacan ? "When you listen generously to people, they can hear the truth in themselves"
"Your car is German. Your vodka is Russian. Your pizza is Italian. Your kebab is Turkish. Your democracy is Greek. Your coffee is Brazilian. Your movies are American. Your tea is Tamil. Your shirt is Indian. Your oil is Saudi Arabian. Your electronics are Chinese. Your numbers Arabic, your letters Latin. And you complain that your neighbor is an immigrant ? ". and you see me with mine. "